Okay yes, we love pink. But it’s yellow that’s been catching our eye lately! Love the top mixture – is it wallpaper or fabric?? 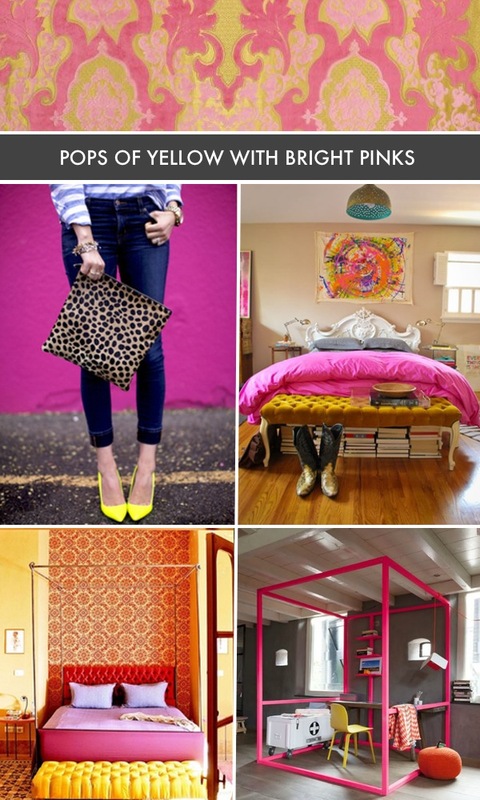 I may need to transform one of my girls’ rooms from little girl to big, using bright yellow with the already-there pink!